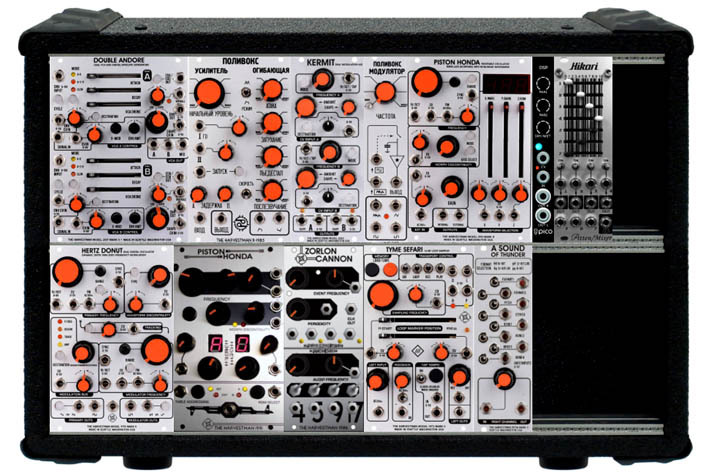 I just realised I've somehow forgotten to include the Malgorithm mk][ in mine - darn it!! I thought it was a really nice 208hp case!! Going to have to rethink hehe! Casing for the mk Is and mk ][s and the Russkivox systems have been on my mind of late. Not sure yet what is best. Currently. Think there was a thread in this subforum, but was a bit dated. 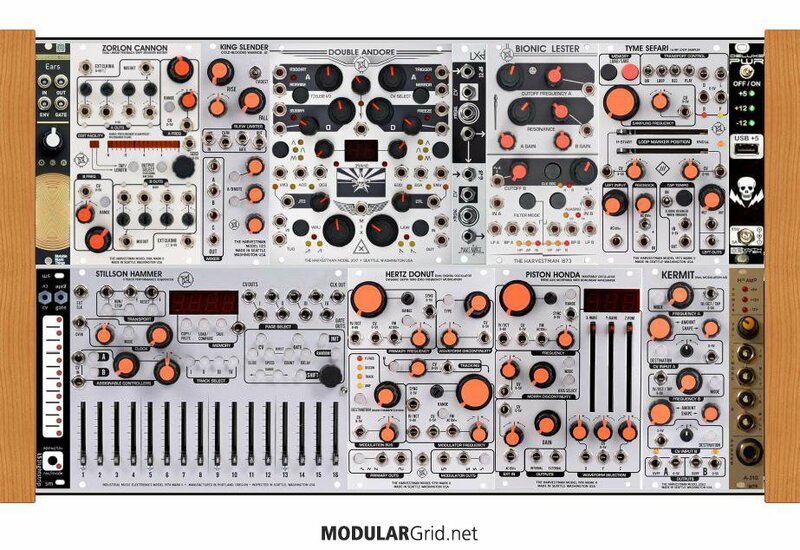 I think the pattern is obvious: you either have a helluva number of Harvestman modules or you have none. Thanks! I took awhile to pick up a malgorithm. However, since I got one, I try to use it on almost everything, even just subtly. It works real well on drums for me, and if it ever needs a little more punch I'll just stereo in to the plague bearer. 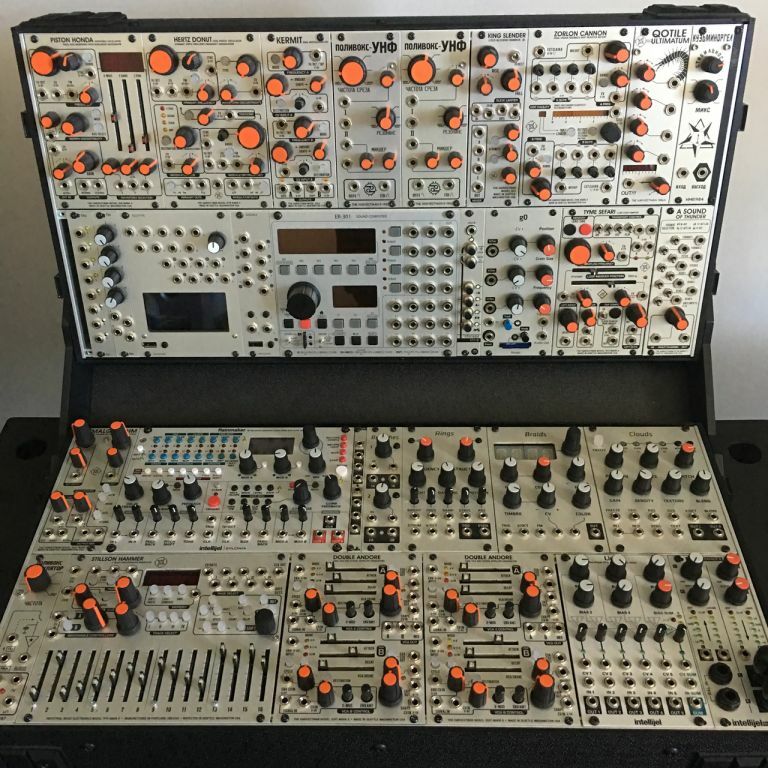 It can even act as a vca. 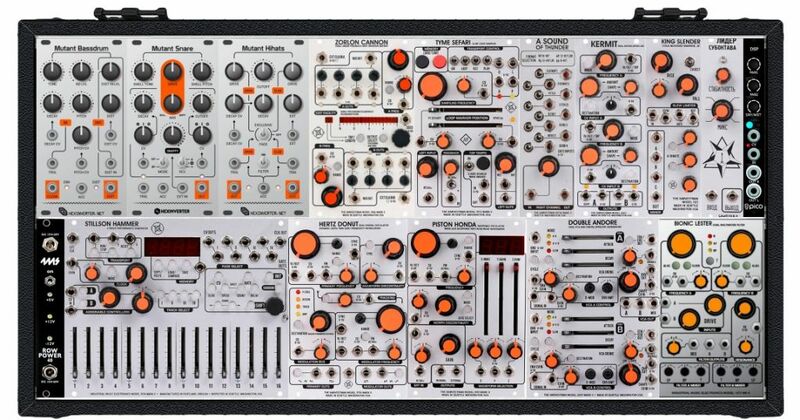 I think my first was the Hertz Donut mk][, when I first used it I was (probably like most new Harvestman users) somewhat taken aback by how noisy it was - raging away on all the knobs punching buttons and creating all kinds of noise! But then I worked out how everything works together and it is gorgeous! I love using it for FM and how it can go from the sweetest sound to sheer noise in seconds! Yeah Mephitif - I'm a huge fan of noise too! It has to be the single most comprehensive noise source available - I know of nothing else that comes close! 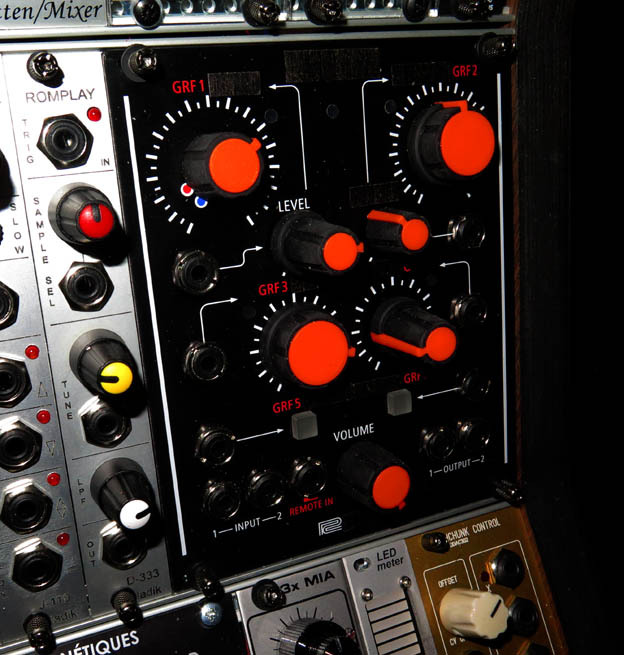 Nice racks sackley & Infinity Curve these are all giving me patching ideas - thanks!!! My attempt at logical organization. Includes friends and family. Is there anything you don't have? hehe ditto... I have time! Cash flow a bit shite at the moment though! Very nice. Now that could create a racket. I've always envied Ted James Butler's setup. I've yet to pick up any of the mk1 modules... all the ones that appear seem to have something wrong with them or I am skint - one day! No doubt. 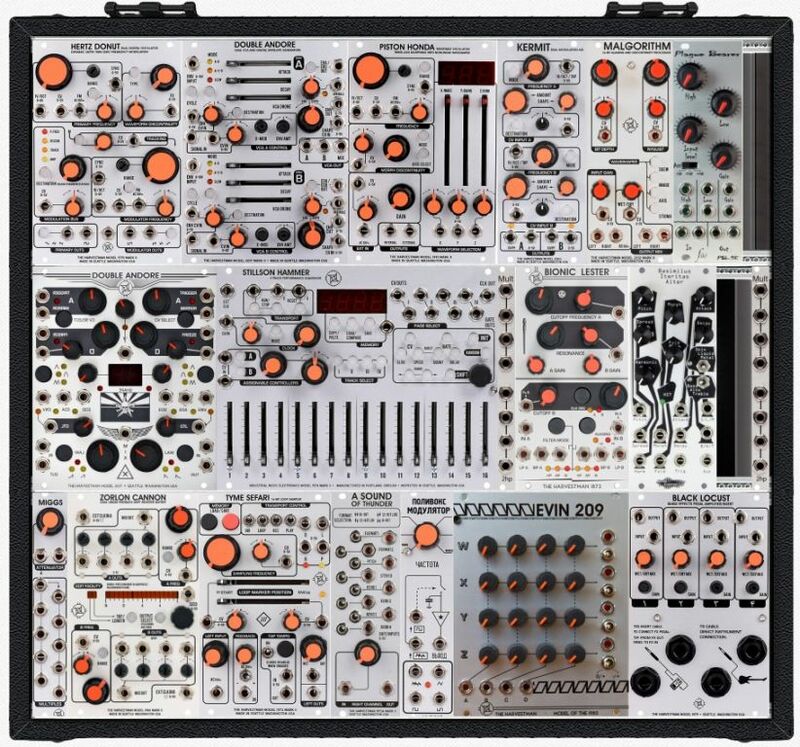 Watching that video, and some of the others he has with that harvestman setup, was the catalyst for getting a strict harvestman case for myself. 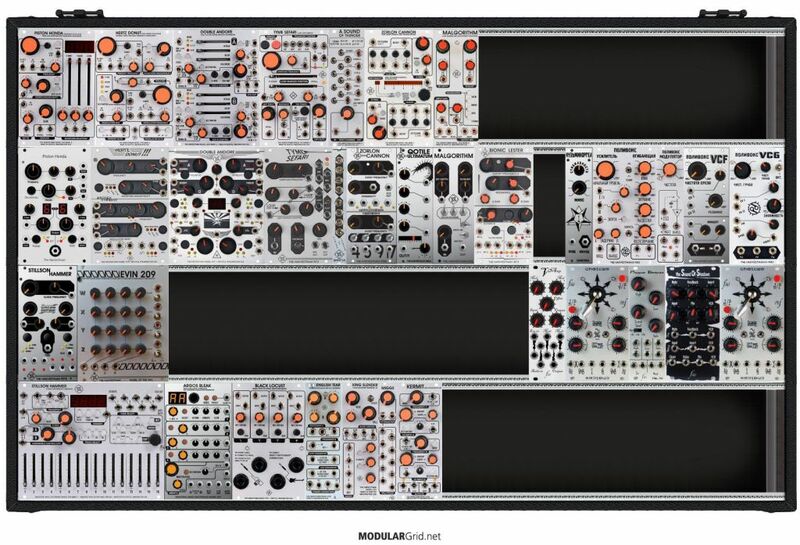 Did you Harvestman enthusiasts see this? I didn't even know those existed! And for me too. Totally amazing. Anybody use an optomix with there setup? 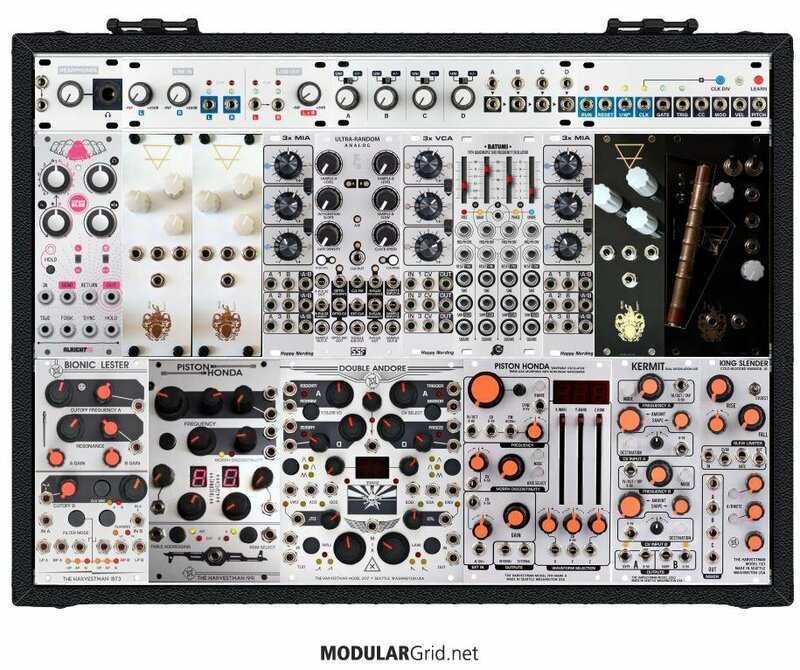 Need a vca and wonder if that would fit in will with the modules I have. Sure. Piston Honda and/or the Hertz Donut with some wave shaping through the Optomix (or any low pass gate) sounds great. Take a look at the LxD for a smaller form factor.